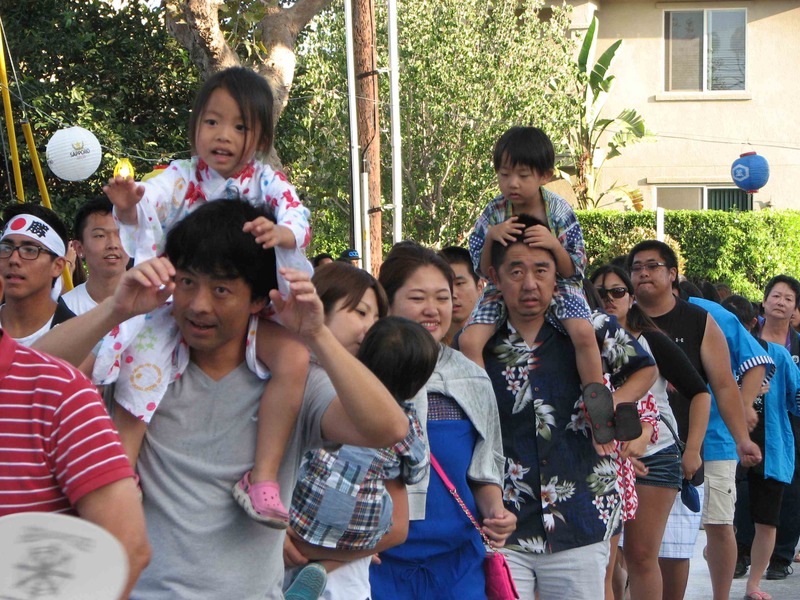 GARDENA — Gardena Buddhist Church will observe Obon with dancing and its annual carnival during the weekend of Aug. 13-14. Obon is a time to remember and honor those who have passed on, and to show our appreciation for all that they have done for us. The traditional Obon dance, which expresses joy for the teachings of the Buddha, will be from 6 to 8 p.m. on both Saturday and Sunday evenings. Final Bon Odori practice is on Tuesday, Aug. 9, from 7 to 9 p.m.
Carnival hours on Saturday will be from 3 to 10 p.m.; Sunday hours will be from 3 to 9 p.m. A variety of booths will be featured, including games for young people, bingo, a raffle, sushi, chicken and beef teriyaki, saimin salad, tamales, hot dogs, Spam musubi, Okinawa dango, corn, snow cones, and drinks. A silent auction is planned, as well as a crafts boutique booth. Hondo tours will be available at 3, 5 and 7 p.m. as well as taiko demonstrations by Jodaiko of UC Irvine at 4:45 p.m. and GBC’s own Isami Taiko at 5:15 p.m.
Gardena Buddhist Church is located at 1517 W. 166th St. in Gardena. For more information, call (310) 327-9400.